If you have been recommended about us by word of mouth, then you already know our exemplary service and trustworthy relocation process. Agarwal movers and packers Kolkata are among the best in the industry and we have become this way only by due diligence and a focus on our customers. At Agarwal packers and movers Kolkata we do not treat your belongings as items which need to be shifted from one place to another. We think of them as valuable emotional attachments and treat them in a manner befitting. 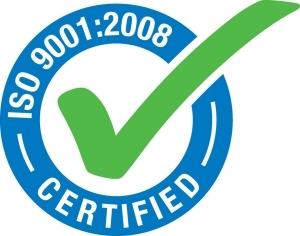 We are among the few movers and packers in Kolkata who are ISO certified. If you want to relocate, that is shift your entire home or corporate belongings from one place to another, then you have to place your trust in a firm which is at the least ISO certified. We at Agarwal movers and packers Kolkata fulfil this condition for you. If you have ever relocated from one place to another by any movers and packers Kolkata, then you would have noticed a couple of breakages. We at Agarwal packers and movers Kolkata have nullified the chances of breakages by using only high grade, internationally acclaimed export packaging materials. You can be rest assured that your belongings are as safe and secure as money in your bank. Now, with Agarwal movers and packers Kolkata you can say goodbye to harassment by haulers and packer at other movers and packers Kolkata. All our staff right from the persons who pack your stuff to the ones, who load them in trucks, is trained to be polite and attentive to your needs. With us you do not have to worry about attitude, ego or behavioural problems. Many movers and packers in Kolkata are known to charge exorbitant amounts to people who are not locals. They deal in unscrupulous practices and take a customer like you for a ride. We at Agarwal movers and packers Kolkata have a flat rate charging system which is very easy for you to understand and approve of. With a big name like Agarwal Real Packers and Movers, you do not have to worry about being overcharged. These are just a couple of reasons why you should choose us as your next packers and movers in Kolkata. For complete trust and experience, you can give us a call to book a pre-shifting detailed assessment.